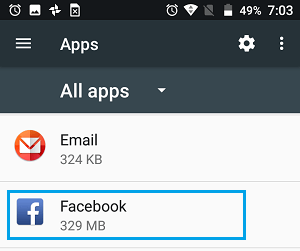 In case you are using Facebook on your Android Phone or Tablet, it is likely that Facebook has access to all your Photos. 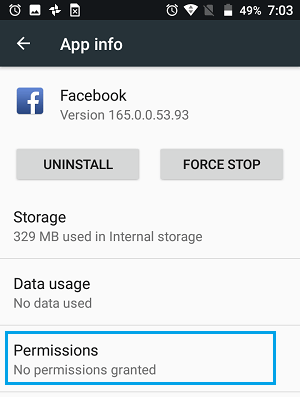 If this bothers you, it is possible to Stop Facebook from accessing Photos on Android Phone. Facebook prompts you to provide access to Photos during initial installation of the App and also later on via notifications. Since many users do not really read notifications carefully, they end up granting Facebook and other Apps with access to their Photos stored in the Gallery. Even if you have granted Facebook with access to your Photos, you can prevent Facebook From Accessing Photos on iPhone or Android Phone. 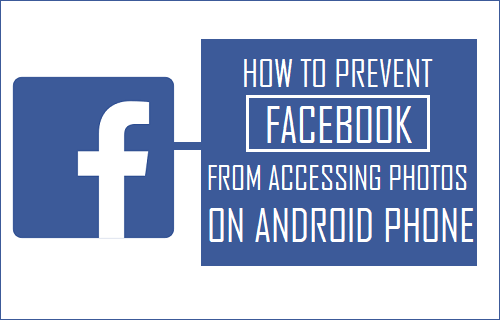 Follow the steps below to stop Facebook from accessing Photos on Android Phone or Tablet. 2. 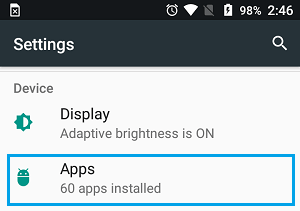 On the Settings screen, scroll down and tap on Apps or Applications. 3. On the Applications screen, scroll down and tap on Facebook. 4. On the next screen, tap on Permissions. 5. 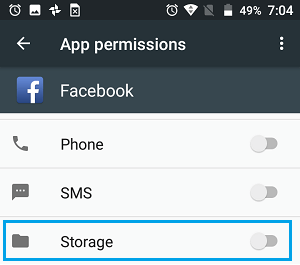 On the Permissions screen, disable the option for Storage by moving the slider to OFF position.